How well do you know your customers? Owners of online stores should put a lot of effort into figuring them out. Seeing things from your customers’ point of view will give you the valuable knowledge you can use to improve your business. It’s not for nothing that the whole sales and marketing world are using customer-centricity as the number one buzzword. Your customers want something from you. It’s not just the things they come to buy from your store. 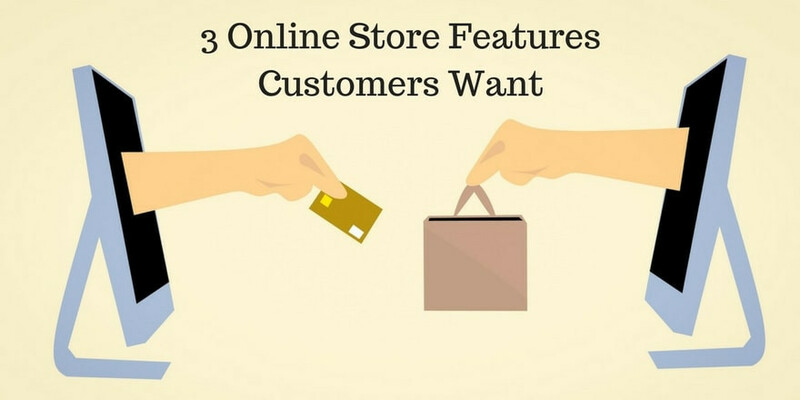 They want your store to be a certain way and contain certain online store features. Some of their desires are conscious, and some are not. Either way, your job is to understand and meet your customers’ needs. So let’s have a look at what your customers want from your store. Your online store has limits. It cannot offer the kind of understanding people need after a hard day at work. That kind of understanding is what friends and loved ones are for. However, your customers will still expect your store to understand them. They want the store to get them, to get what they need. As a store owner, you might think of it as personalization. Before AI and Big Data, it was next to impossible to predict the things a customer will like. Even if predictions were made, they surely weren’t as accurate as they are now. Using these technologies, you can achieve a level of personalization that will make your customers feel like they’re shopping in a store that knows them. This Magento search plugin, for example, uses AI and machine learning to decide which products to display in search results. The aim is, of course, to show the search results that are relevant to the person searching. The same technology can be used to offer personalized recommendations. Can your customers trust you? You probably think they can. But how should they know? It’s not like they know you personally. Unless they have shopped with you before, you have to prove to them that your website is a trustworthy place. The Internet is not the safest place in the world. There are too many people running scams, selling shoddy products, or just looking to steal credit card numbers. So how do you prove you’re not one of them? There are more than one ways to demonstrate that your store can be trusted. Let’s start with the simplest one — include contact information. A phone number will do. Display it prominently, even on your landing pages. People will be more likely to think your business is real if it has a phone number. You can verify your payment options with the major credit card providers, and use logos to display it. You can do the same with anti-virus companies. Letting your users know that you’re accredited with the Better Business Bureau is another sure way to build trust. Next, you can move on to testimonials and user reviews. User reviews are a major sign of trustworthiness, and they are read by the majority of adult shoppers in the United States. Testimonials, if they are coupled with pictures, can have a great impact on how your website is perceived. There’s one specific way online retailers like to be dishonest that can really make the customers’ blood boil. Some retailers like to wait until the last possible moment to mention to full costs of shipping. A customer will spend precious time looking for products. Somewhere during the checkout process, they are informed that their bill will be significantly larger due to shipping costs. The result is that hidden shipping costs count as the number one reason why people abandon shopping carts. This one is really easy to fix. Optimize your ecommece store to make your shipping fees visible as soon as possible. Create a separate page that explains the fee structure, and then link to it on the homepage. Don’t hide it somewhere in the footer. Display the link prominently. It can’t be all about values. You have to give customers a little part of your website that will their own. People will come to your website just to browse it. Digital window shopping is a thing. Online shoppers like to research items before buying them. People also like to plan their purchases ahead – especially the people who are careful with how they spend their money. The best way to accommodate them is to allow them to create a wish list in your store. It might take some work to make it possible, but your customers will appreciate it. And it will give them a reason for repeat visits. So you’ll get more chances to sell them things. It’s a win-win situation. But then again, everything you do to make your customers happy is. Now people are getting familiar with online shopping and getting smart enough to shop smart. Online Shopping is easy and best way to find what you looking for. But you should buy things from trusted store. Online shopping is a popular trends for buying today. Your article is very helpful to us. We hope you will keep sharing articles like this in future. Such a beautiful and valuable article you have shared. so you have shared things with customers wants from any online marketer. The best point I found is “Trustworthiness”, if a customer is satisfied with a particular online shop and they really providing genuine products, they will grow more than others. I really appreciate your efforts thanks for sharing . The growth of the Internet as a commercial medium gave rise to a new trend – Ecommerce. It is a concept of selling and buying products through online. When launched, it was seen as a profitable opportunity for businesses to expand their operations and grow exponentially. Thank you for sharing this useful features of online store. Online market play very effective and Amazing role now a days. Free shipping is necessary? I am starting a store soon. So want to get an idea about it. The #1 complaint online buyers have always had is shipping costs. Offering free shipping is the best way to increase sales in an ecommerce store. But you do have to cover the cost – it is just in the price of the products. This is a really informative, quality post. I was always recommended all features which are really helpful when you going to purchase any item or product through online store. This article will be helpful to all people who always preferred online shopping. I agree with the points that online business will not survive without those aspects. Thanks for sharing your valuable thoughts. Nice article to read and it was really helpful for me to implement it. Keep going. Thank you for sharing information regarding customers satisfaction and online stores. And a great tip on wish list. There are many sites available for online payment but still some of them have problems. Do you think we should trust such online sites?? Yes, In current times, online transactions are very useful and easy. All above features you have mentioned are fantastic. I really agreed with you on why online store gives you discounts as well as business to business benefits to customers. I always had a doubt about online payment. Nowadays sites or payment gateways are saving our card details on their sites. Few say that they are being saved in our browser’s cookies. Do you think we should be trusting these sites at this level? Wow! While I was reading this I was thinking customers would want freebies and discounts and it’s surprising to know it’s not even the material things they’re after. Just plain understanding, trustworthiness and honesty. These are the little things we overlook but matters most to clients. Thanks for sharing your insights, Dana. Simple but very helpful. thanks for sharing such a great information with us. you have mentioned about Online Store Features.it’s useful for everyone. Dear admin thanks for sharing such a nice information with us. Your post is very useful. Your tips very fantastic and I agree with your post.